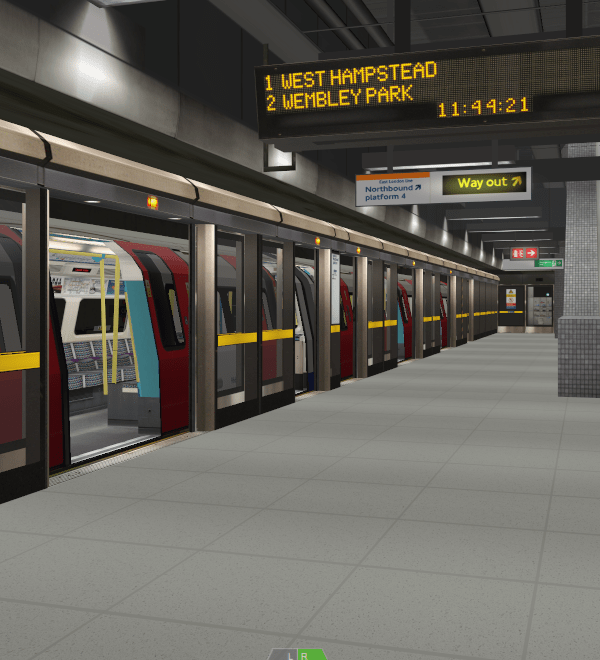 The current release (phase 2) of our Jubilee line for OpenBVE is now available for download. Future releases will also be uploaded here. Set in 1999 just before the full opening of the Jubilee line extension. During this time trains ran between Stratford and Waterloo. Southwark was not ready for opening when this ‘preview’ service was launched, and we have recreated this faithfully. The distinctive architecture of this line has been lovingly modelled and includes the iconic platform edge doors (PEDs). ATO is not included in this route as it was not in use during this time period. If you would prefer an ATO experience, please see our Central Line.